Imagine commuting to work on a streetcar like this one! Its open design made it easy to quickly load and off-load passengers, but the disadvantages were quickly felt during rainy weather. 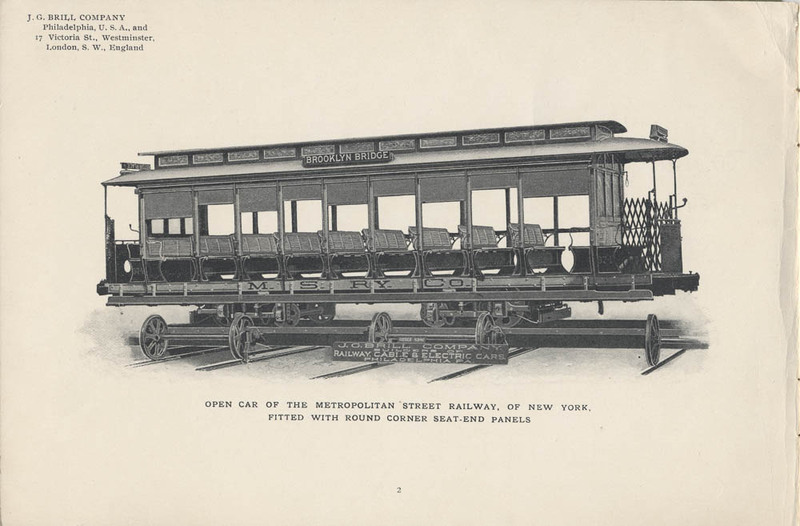 This trade catalog by J. G. Brill Co. describes how the patented round corner seat-end panel made open streetcars more pleasant to ride, even on rainy days. Before there was the round corner seat-end panel, open cars were designed with the square-end panel. The square ends extended into the entry area of the car causing passengers to run into or catch their clothing. The design also made it hard for passengers to stand on the step of the streetcar. Another advantage of the round corner seat-end panel was felt during rainy weather. Open cars were equipped with curtains which could be lowered, but these curtains usually did not extend below the seats. This meant both the feet and legs of passengers and the floor got wet. With round corner seat-end panels, “the grooves for the curtains on the outside come all the way to the floor” and “the whole side of the car can be quickly and easily closed…” This meant less rain coming in during storms and happier passengers. The trade catalog ends by mentioning some cities and roads already using round corner seat-end panels on their open cars as of February 1901, the date of this catalog. 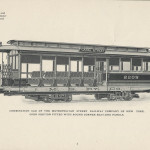 These included the Metropolitan road of New York City, the Brooklyn Heights road, the Brooklyn and Coney Island road, the Union Traction Company of Philadelphia, and the Cleveland Electric Railway of Cleveland, Ohio. Patented Round Corner Seat-End Panel for Open Cars and other J. G. Brill Co. trade catalogs are located in the Trade Literature Collection at the National Museum of American History Library. 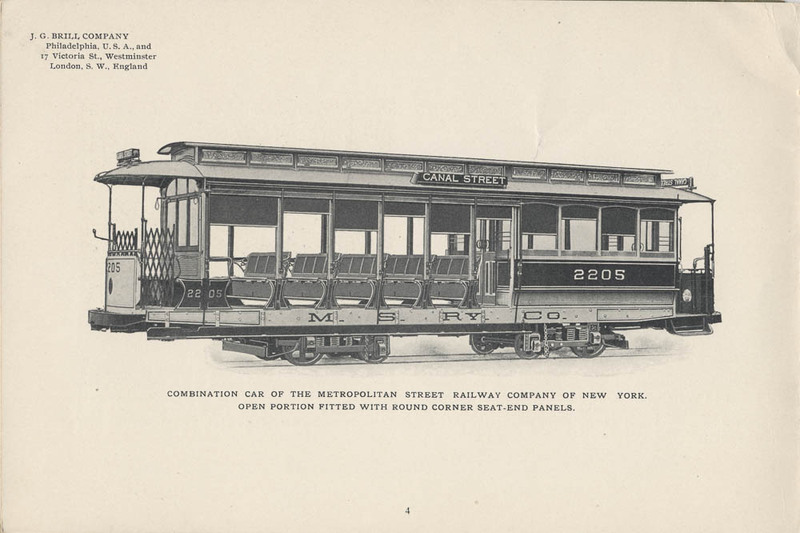 Interested in more images of streetcars from the turn of the twentieth century? The Galaxy of Images includes more pages from this 1901 catalog. Next Post Come learn with us!